I love how after rinsing the shampoo out, I can instantly feel the softness of my hair while wet. It gives that smooth feeling that other shampoos do not give me after rinsing. I always brush my hair before I wash it. To get rid of any tangles and prevent an further knots and tangles. Washing my hair can lead to it being tangled after rinsing the shampoo and conditioner. Sometimes it can be a pain to detangle it. With this, my hair doesn’t really get tangled, but if it did, the inca inchi oil would make detangling easier. My hair also gets greasy at the roots quickly with this, next day more like. Did feel like some residue is left on the roots so I would use this once a week or just use it just at the ends. 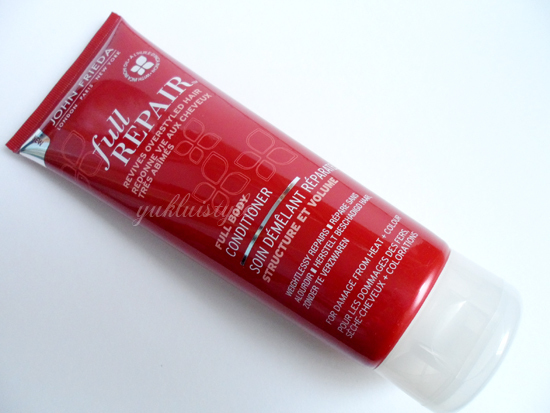 The conditioner can also be used for intensive repair. Using them together would be the best combination, leaving your hair soft and easy manageable. They do give a slight volume but I found out that this had weighed my thin, fine hair down a bit. I love the smell of both of these. It smells floral I think? Smells fresh. Hair texture feels different, feels softer. I do recommend this product. Best suited for hair that doesn’t get greasy fast. 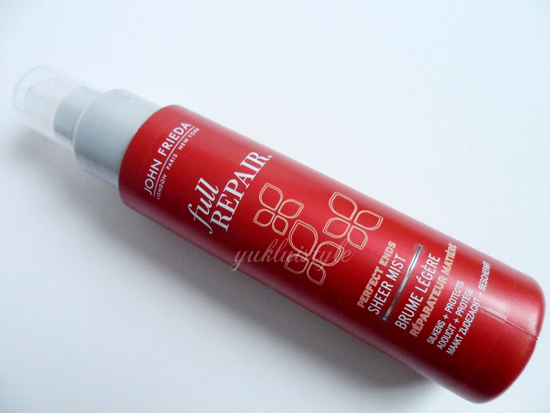 Best for thicker hair and if you have thin hair and don’t mind a lack in volume, then get this! First thought of this was how this didn’t spray like a mist. More like a powerful spray? Hard to explain. So it doesn’t cover much hair in my opinion even after combing therefore needing to spray more times than what it says on the packaging. Maybe it’s my weird feeling. Also when I sprayed it, it didn’t reach my hair. It misses. Had also noticed the smell. Has more of a chemical smell to it. Can be off putting to some but it doesn’t linger around much unless you sniff your hair. I would lie if I say that I don’t get split ends. Everyone gets split ends. I’ve noticed that this does help reduce it the amount of split ends and makes the ends stronger, meaning less breakage. The best part of this is how it protects it from heat damage. This feels light on the hair and doesn’t weigh it down. Just apply it onto wet hair, not dry otherwise it will make it greasy. In general, I do recommend this but beware of the spray. Overall, this range in general is good! Splash out a little bit more than the usual but as I said, depends on your hair type. What may work on me, may work better on you or not. It varies. 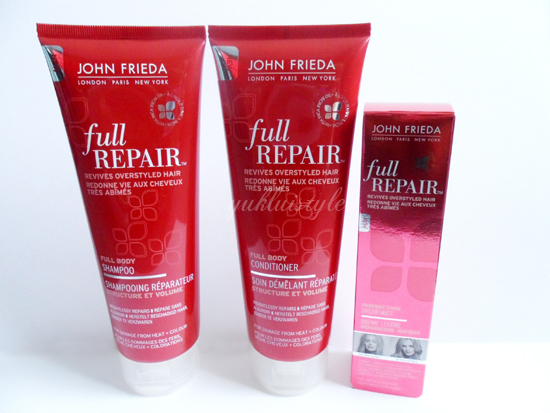 John Frieda caters other hair types and products such as Sheer Blonde, Brilliant Brunette, Hair Dye etc. You can read my other product I have reviewed: John Frieda Sheer Blonde Colour Correcting Shampoo. I know I'm a little late but I'm sorry to hear about your loss. Be strong love!